Comment: The fizz clears quickly from this beer, so it avoids becoming too gassy. All the individual components – the malt, the hops, even the elderflower – are delicate and subtle, and go together to produce a light, refreshing and dangerously drinkable bottle. Somehow, it manages to deliver a satisfying, complex flavour without losing the lightness required for a great summer beer. There’s a noticeable sweetness, almost honey, which combines wonderfully with the flowery overtones contributed by the elderflower. 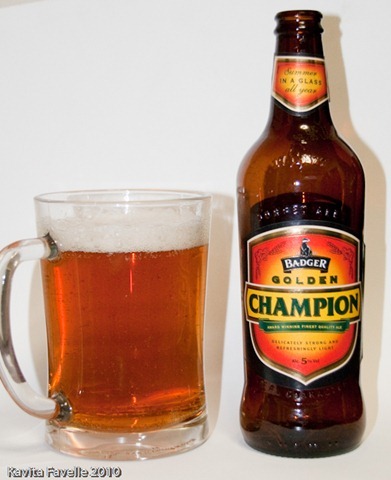 As a refreshing summer ale, there’s only really one word to fairly describe this – Champion!